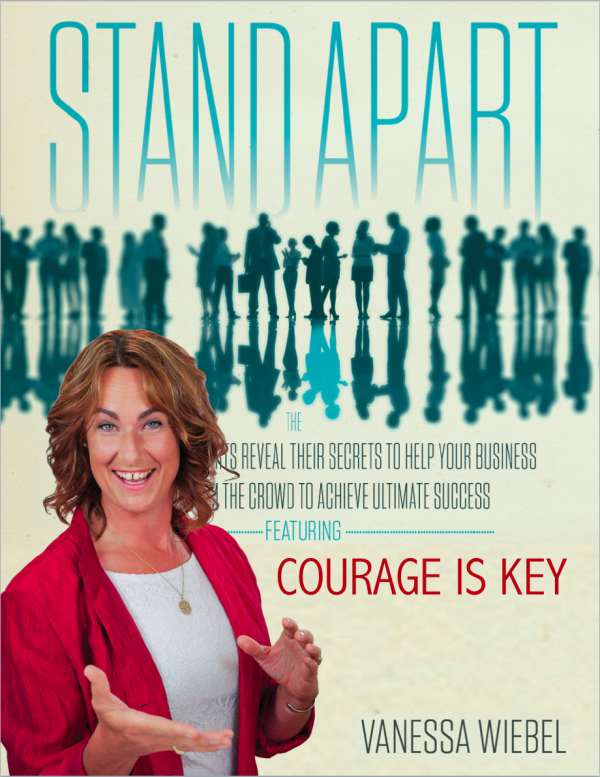 Here you can have your own of “Courage is Key” written by Vanessa Wiebel’s, National Bestselling Author and Quil Award Winner in 2014. Here you can get your own copy of “Courage is Key” , in 2014 Vanessa won and was part of the National Bestseller Authors and the Quill Award winner “STAND APART “. Here you get a very personal account on how STANDING APART with courage was key and trans formative. Showing how it fundamentally matters how you show up.